I always have a Tofurky Pepperoni Pizza on hand in the freezer. 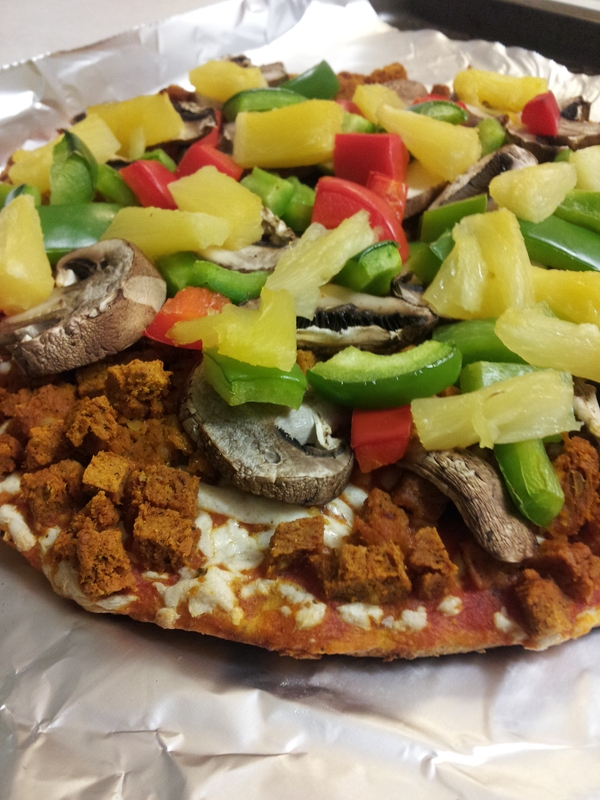 I have them on days when I need to throw together something quick or I’m craving a delicious pizza! This one really hits the spot and tastes like a traditional pizza; you aren’t missing out on flavor. Before it goes in the oven I throw a bunch of veggies on top to add to the nutrition, and it’s a good way to use up veggies also. The pizza in the picture has mushrooms, pineapple, green and red peppers put on top. Add a salad and you’ve got a meal! Check out the nutrition info below – this is a pizza you don’t feel guilty eating half of in one sitting!